For the new Venturer Small Seconds XL Funky Blue, H. Moser & Cie. has combined curved hands, crystal and dial typical of the Venturer line with a larger than usual 43 mm white gold case. The result is pretty appealing. 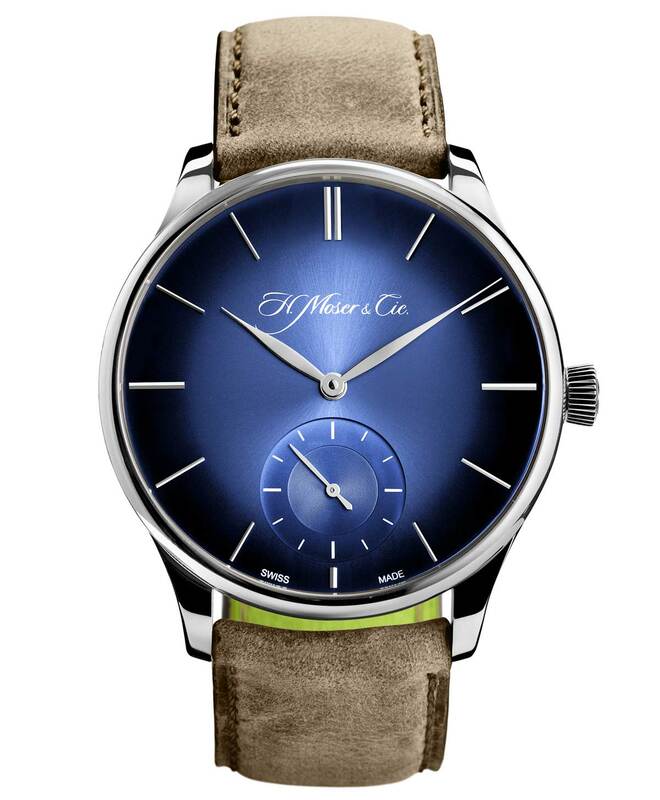 The new model intentionally plays with contrast: the design is from the 1960 but the size, the electric sky-blue fumé dial and the kudu raw leather strap are markedly modern. This new XL model of the Schaffhausen-based manufacture maintains the proportions of the original Venturer Small Seconds and it is powered by the highly appreciated in-house, hand-wound HMC 327 calibre slow beating at 18,000 vibrations per hour. 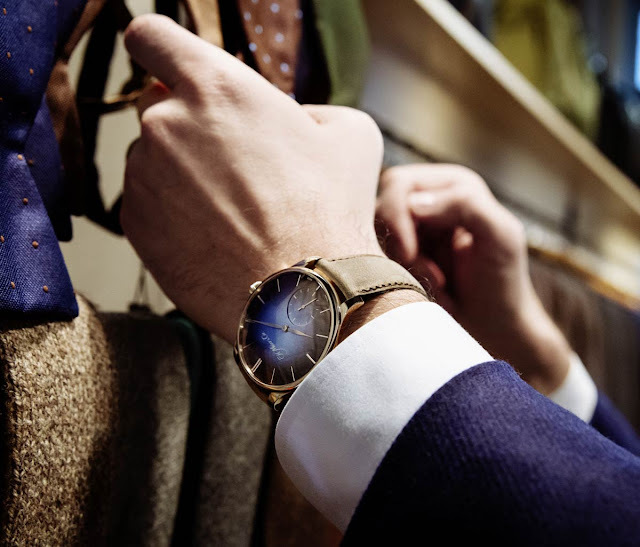 The see-through sapphire crystal case-back allows the owner to fully enjoy the quality of the movement as well as to check the power reserve indicator. 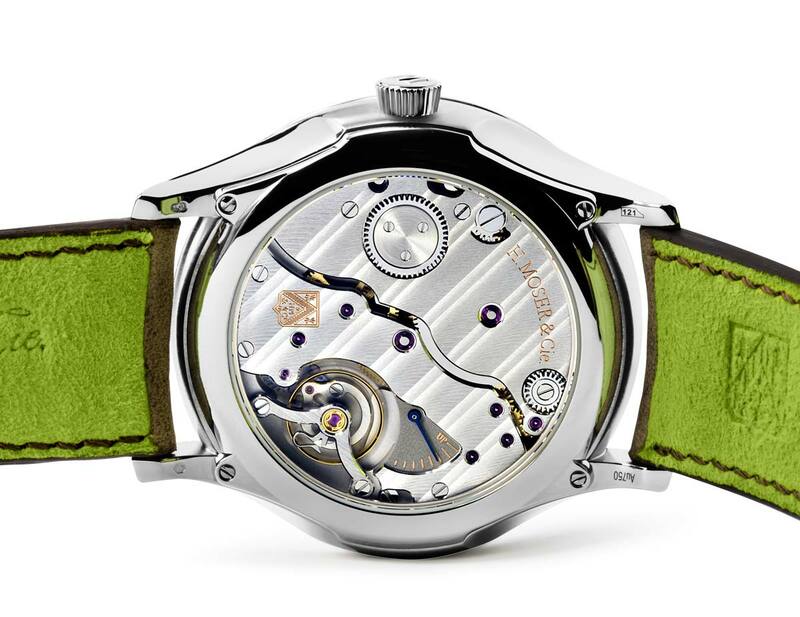 The HMC 327 calibre offers exclusive features such as a hacking seconds mechanism, Moser teeth for all wheels and pinions, and the original Straumann Hairspring with stabilised Breguet overcoil. H. Moser & Cie. Venturer Small Seconds XL Funky Blue. 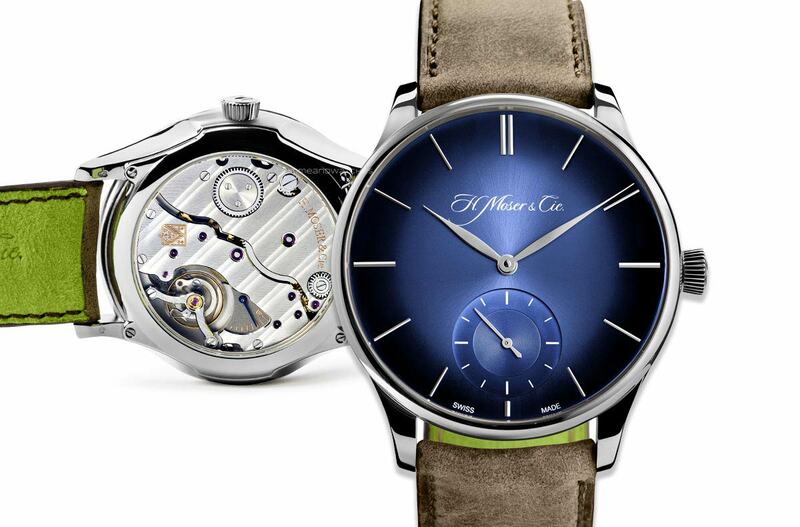 For the new Venturer Small Seconds XL Funky Blue, H. Moser & Cie. has combined curved hands, crystal and dial typical of the Venturer line with a larger than usual 43 mm white gold case. Price to be announced. 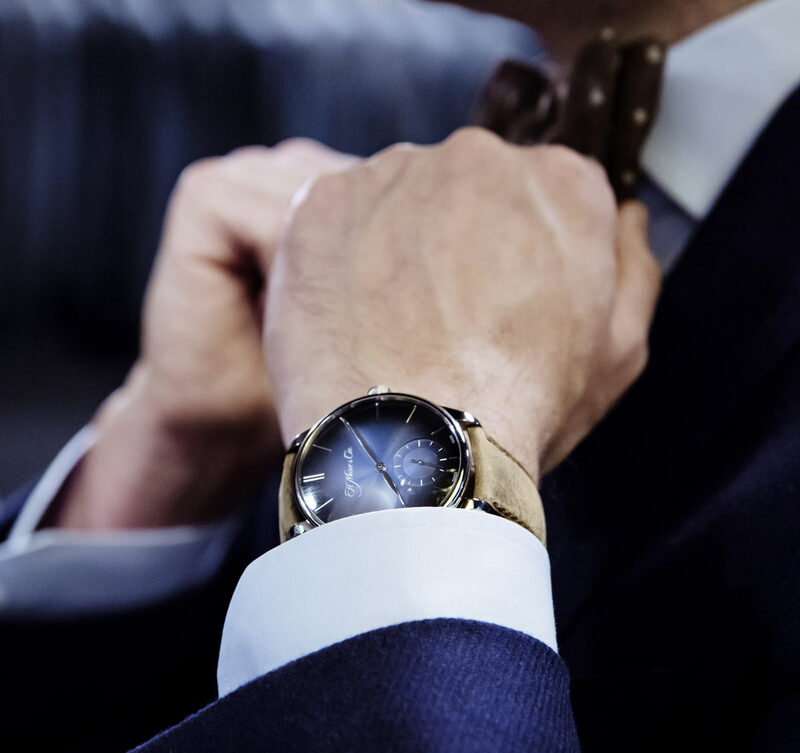 The new Venturer Small Seconds XL Funky Blue will be showcased at the Salon International de la Haute Horlogerie (Geneva, January 18-22). Retail price: Euro 20,600.